Something that I inherited from my in-laws. 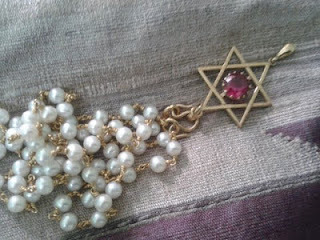 I absolutely love, the pearl+ruby chain. Can you believe that the chain is almost a 100+ year old?. The chain and pendant was designed by my grandma-in law's dad and was gifted to his then to-to-be wife on their wedding day. 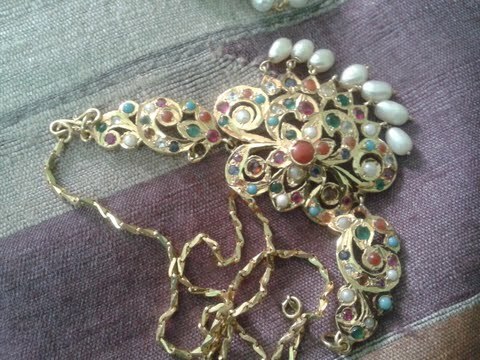 The other chain, encrusted with sapphire, ruby, turquoise, pearl, jade, emerald is again one of the family treasure. When it comes to gold and buying gold my family has an all together different opinion. Gold is all about investment and anything with stones is a dead one according to my dad. My in-laws however go by the visual aesthetics and most of the family jewellery have some sort of stones on them. 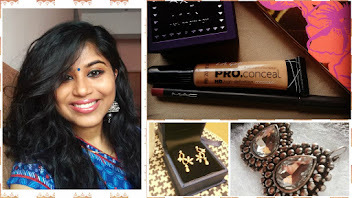 They own one of a kind, unique, handcrafted jewellery which is absolute drool worthy. Most of the jewellery was designed by family jeweler and was handmade. They look so archaic and gorgeous. 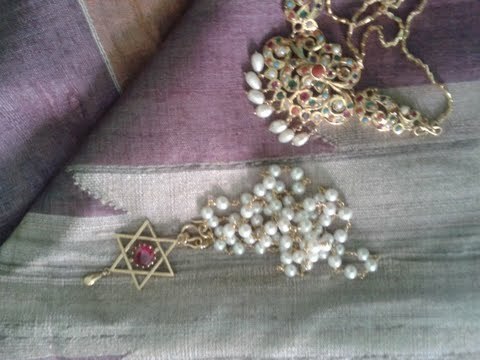 Love to dig into my mom's jewellery box. :D Your in law sure does have some nice pieces. I love jewelry with stones. Specially love blue sapphires. Love both pieces. Goegeous pieces! !I love investing in gold too:))Stones and widout stones..anything! !